“I DO AT BLUE” T-SHIRTS! Have you seen your Bridalista wearing a cute “I do at Blue” shirt and wanted to own one yourself? Well, now you can! We have our Blue T-shirts for sale for our brides and their friends and family for only $20 each. 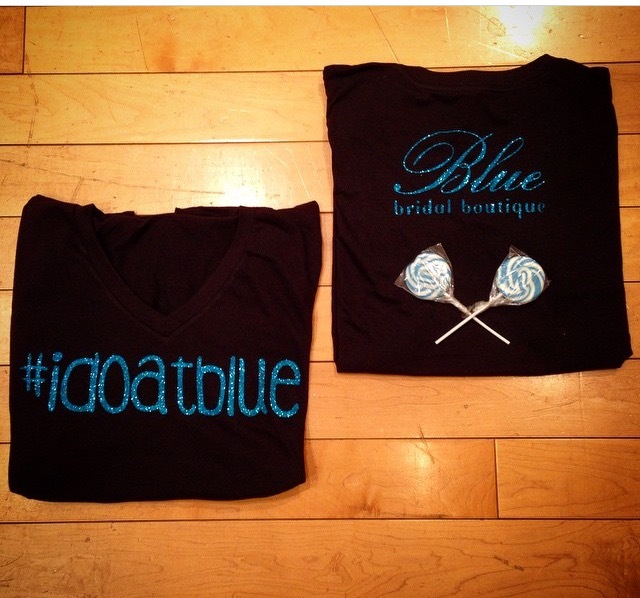 The shirts come in black with a V neck line and the saying “#idoatblue” in blue glitter letters on the front. It’s a cute way to remember your experience in finding the perfect gown and show off where you found it! You don’t want to miss out on these adorable shirts!